Another Fallout post! Sorry I can't help it, but doesn't this chicken just look mouth watering? 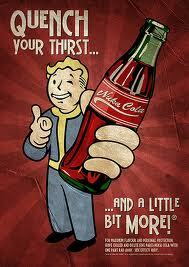 mMMmmMMmM Nuka-Cola Chicken! 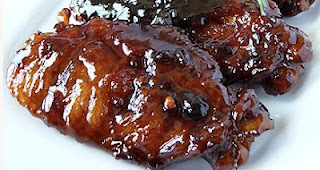 Place the chicken pieces into a 9x13 inch baking dish. In a medium bowl, mix together the Worcestershire sauce, ketchup and cola.